Mr. B B Gurung, the third Chief Minister of Sikkim was born on 11th October 1929 at Chakhung village in West Sikkim. After accomplishing his Graduation from Calcutta University, Mr. Gurung worked as a teacher at Turnbull School Darjeeling for a short period. He then returned to Sikkim and continued the same profession as a teacher and worked at Rangpo High School. After few years he left the job of teacher and worked as a Staff Reporter for Amrita Bazar Patrika a Calcutta based newspaper. He has also edited Kanchenjunga the first news based Nepali journal of Sikkim. He began his political career as a member of Sikkim State congress (founded in December 1947). Very soon he was given the charge of General Secretary of the Party. Later, he was elected as a Councilor from Chakhung Constituency. As a Councilor, Mr. Gurung was given the charge of Education, Forest and Transportation Department. Mr. Gurung was the important figure of 1973 agitation in Sikkim. He was one of the signatories to sign the historic 8th May Agreement which is also known as Tripartite Agreement. It has to be mentioned here, this agreement was signed between His Majesty the Chogyal of Sikkim, Leaders of various Political Parties of Sikkim and the Government of India. 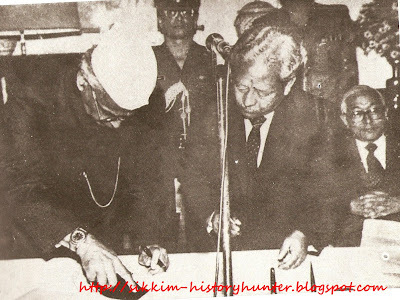 With the conclusion of this Agreement Sikkim witnessed its first ever Constitutional Monarchy and a Parliamentary Democracy based on the Universal Democratic principles of Liberty, Equality and Fraternity. In the election of 1973, which was held as per the terms made in the May 8th Agreement, Mr. Gurung was elected as a member of the Sikkim Assembly as a candidate of Sikkim National Congress. In October 1977, he was appointed as the Speaker of Sikkim Legislative Assembly which was then vacant due to the death of its First Speaker late Chatur Singh Rai. Mr. B.B. 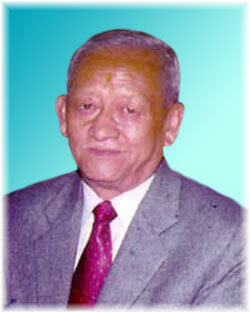 Gurung was an active figure in the politics of Sikkim during pre and post merger period. He was instrumental in making Sikkim an Associate State of India in 1974 and transforming independent Sikkim into 22nd state of Indian Union. In October 1979 Sikkim Legislative Assembly election Mr. Gurung was elected from two constituencies of Chakhung and Jorethang as a candidate of Sikkim Congress Revolutionary led by Mr. Ram Chandra Paudyal. In May 1984, Mr. Nar Bahadur Bhandari’s government was dismissed by then Governor J.H. Taleyarkhan under Article (164) of the Indian Constitution. This paved a way to Mr. Gurung to become the next Chief Minister of Sikkim. He was sworn in as the third Chief Minister of Sikkim on 11th of May 1984 and remained in power for 13 days. The then Governor of Sikkim J H Taleyarkhan recommended for imposition of President’s Rule in the State of Sikkim under Article 356 of the Constitution of India on 25th of May 1984. Thus, the 13 days old Government headed by Mr. Gurung got dissolved owing to lack of support and instability. This veteran leader of Sikkimese political sphere is still active in the politics of Sikkim.